I have an announcement..... 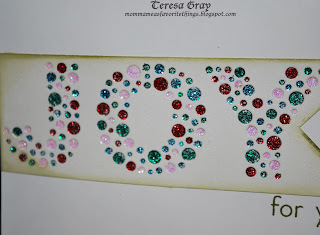 When I finish my guest DT for Nov over at the Outlawz, CAS challenge, I love that site. They asked me if I would like to stay as a member of the team. So as of Dec 2012 I am a Design Team member of the Outlawz’s Challenge blog. I hope you come and play with us, you never know you could even win a prize. I have in the past. So starting today’s Challenge is "Season of Light Challenge" - It's coming up on the holiday season once again, and everywhere we look there are lights shining. 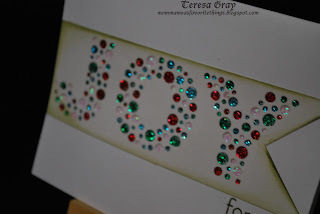 This is an easy CAS challenge for you to let your light shine. 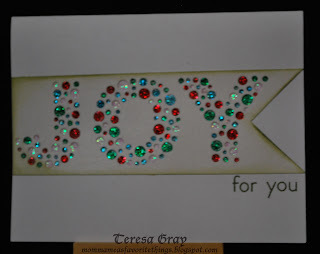 Create a card showing something that shines. It can be a bg or an image (your eyes) - let your light shine.You need to make a CAS (clean and Simple) card that shines. 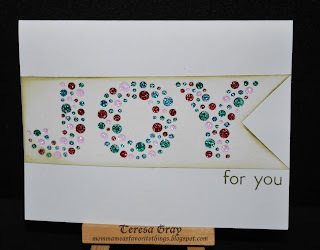 For my card I used a die that I just got called bubble Joy. 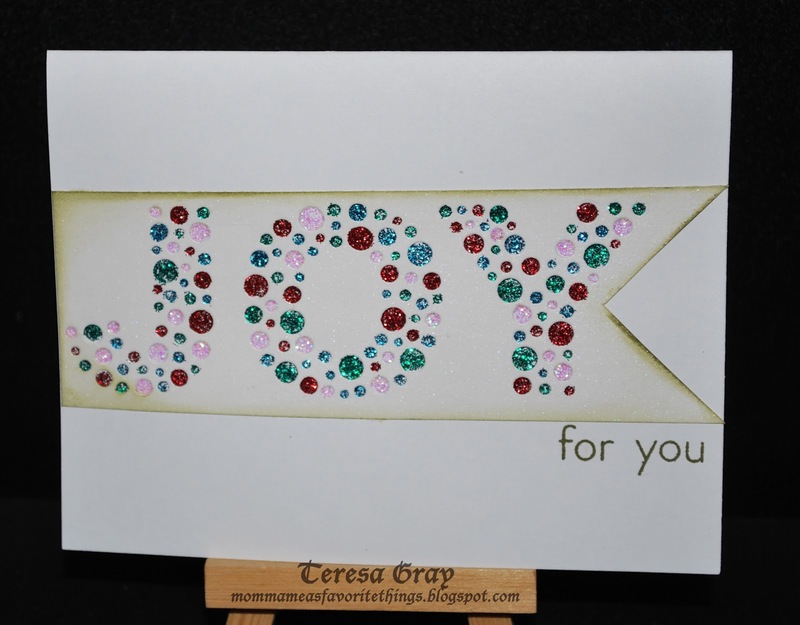 I die cut and then made it into a large banner, distressed the edges with spruce ink. 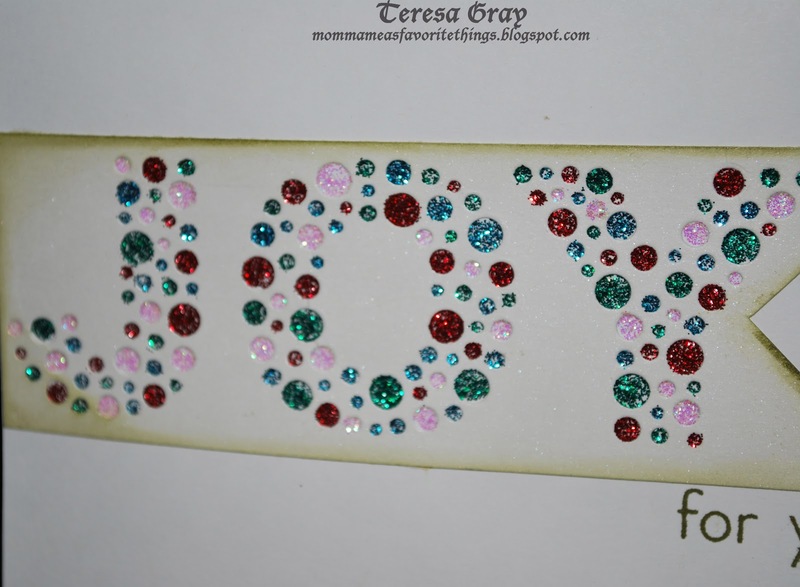 It cuts out the circles then I filled them with Stickles, in red green clear and a light blue. I love how it shines. It need a little something and a set just arrived the day I made it from Paper Trey Ink that had “for" and "You" in it. It was the perfect touch that it needed. Thank you for visiting my little blog it is fun to have you here. Please take time to go visit the Outlawz. 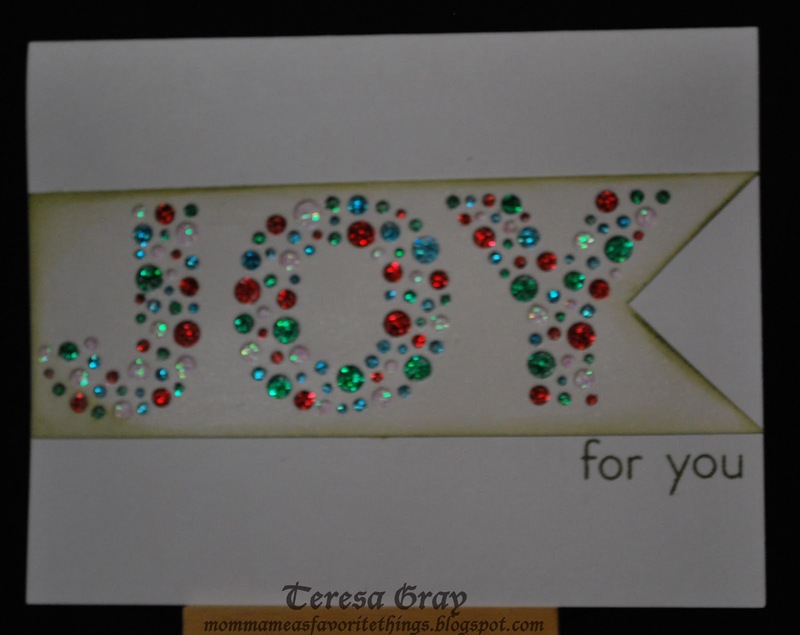 May your Christmas sparkle as much or more than this card does. God Bless your day. Gift Bags For my Kids.